there was a post Past205 made highlighting results for Armani clinic then someone posted a link to a poor result by an Armani patient (stingray?) and mentioned there are apparently several Armani repair patients out there and asked Pats what his thoughts were on the reason for the poor results. is there any reason the post was deleted? i was interested in hearing pats response as i’m seriously considering an HT from Armani real soon, but if the answer is to have posts deleted when tough questions arise then maybe i’ve been looking to the wrong doc. any clarification would be great. if this post is deleted i guess i will also have my answer as well and most def won’t be spending my money with Armani if he’s being protected by this website. i think the site should be an open discussion for good and bad results. sponsored docs should not get special treatment. most people understand that some people are better responders than others. let the posters make their own informed decisions. For a Poster to say there have been LOTS of bad results repaired by an UNAMED doctor, this is nothing more then slander. He provided no proof as to these bad results nor who the doctor is that is repairing these so called cases. It is against forum rules to make unsubstantiated claims like this. Stingray’s case has been documented on this forum and his results were posted here. Stingray saw a nice improvement after his procedure with Dr. Armani there is no denying that, but we agreed that his result wasn’t as dense a result as we wanted, so we offered him a FREE touch up procedure to make his result a homerun, he denied the offer. I have just uploaded my 11 month pics. I haven’t noticed much change from the previous month apart from my hair growing longer. 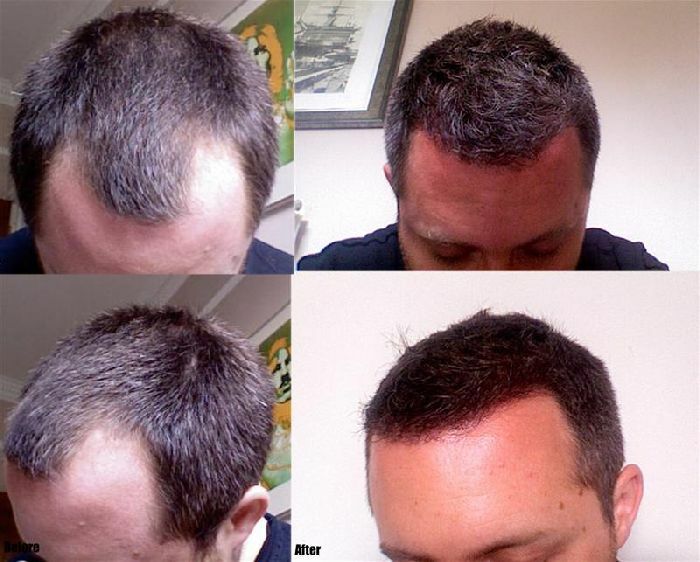 On the whole I am happy apart from the hairline on the left side which is still a bit thin. The last pic in the gallery shows this area clearly. I have been talking with the clinic about scheduling a touch up. Don’t think it would take many grafts to get it to where I would like it to be. All the pics were taken in natural light next to a window on a sunny day. Nothing in my hair apart from wax. Though I did dye it about a month ago just to get rid of the ever increasing grey hairs. As always, all thoughts and comments welcome. There were remarks in the thread that are considered libelous or public defamation. Also, patients are advised to upload their photos in the forum for discussion rather than linking to a 3rd party website which makes it very difficult for us to verify the patient’s identity.